WOW!! Location, Location, Location. You have to see this fantastic remodel. 3 Beds/2 baths. Beautifully refinished hardwood floors throughout the upstairs. The kitchen has new cabinets, stainless steel appliances with granite counter tops. New high efficiency furnace and water heater. Original doors throughout the house with antique hardware makes this home very charming. The bathrooms have new vanities and tile flooring. Professionally painted. The basement is finished with a large family room and large laundry room with additional wine cellar/storage room. Rare 3+ 2 off street parking with amazing garage. With additional plenty of attic storage. Beautifully landscaped property with large dog run and big shade trees. Opitioanl RV/Boat storage were the back fence swings open for additional access. 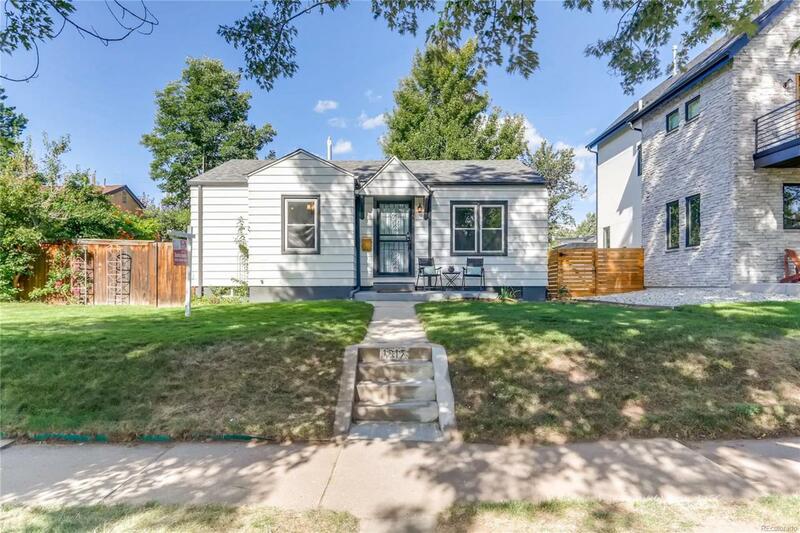 Very close to Wash Park, DU, Light Rail and easy I-25 access, as well as several restaurants. Offered by Keller Williams Realty Success.